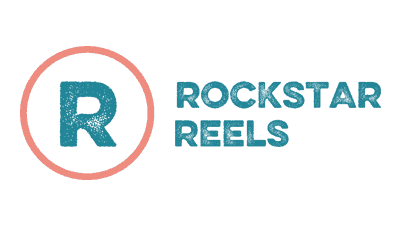 Meet Rockstar Reels, one of the most interesting new online casinos in the autumn of 2018. From the first time we lay our eyes on this new brands’ website, we knew for certain it was something special. Just the logo really stands out among the many, to be honest, quite boring dittos. On top of this, the colour scheme is well thought through. Not that things like this actually matter, but let’s face it, it is always much more fun playing at a good looking casino. The creators of Rockstar Reels casino have also though a lot about the user-friendliness about making an online casino site. Without dropping any good looks, we easily found everything we were looking for at the most natural places. Rockstar Reels online casino surely is a competitor to many brands, taking up the fight with Metal Casino and other “manly” brands. Even though this is a bit more unisex in its approach, we think it will mainly attract the men. However, the bonuses, other promotions, games and VIP clubs should appeal to everyone. In this review, NewCasinoStar.co.uk will try out the website and give you our thoughts about it. So far, so good – when it comes to the looks at least. Continue reading our Rockstar Reels casino review to find out even more! As mentioned, it all looks really good according to us. A neat registration takes us straight into what we believe is the heart of the casino; the games. Sure, we are always looking for big bonuses and many free spins – but without any fun games, there won’t be a lot to use those bonuses for. As you might imagine, coming from a big new casino launch, they haven’t forgotten about the game offer. Among the different kinds of games, slots are (of course) in focus. And there are many of them, new ones and those classic ones we all love. To attract as big of a target group as possible, Rockstar Reels has also put a lot of effort into offering many other games. A large variety of different table games, such as roulette, blackjack and baccarat. Are you requiring a small bets table? Or maybe a high roller one? Both are to be found here, and we really enjoyed scrolling among all the different variants. As most often, coming to new casinos, there is also a live casino page to visit. Play all the above-mentioned games, now with a live dealer in real time. This way of gambling hasn’t grown as much as we would have thought, but it is still something totally different from watching the reels turn at video slots. Something we decided to try out a bit for this review. Everything went very smooth and the NetEnt Live Casino surely has grown to be among the really best nowadays. Even though there already are a large number of companies to choose from, we expect there to be even more in the not so distant future. Once one of these new big brands are coming, they usually put in a lot of money and effort to attract as many players as possible. Why Betsoft Gaming, Play N Go and others probably will show up soon. Alright, so that was all regarding the games. Of course, our first move once we were a registered player, we checked out the promotions. The launch offer for new players is really something that you should take advantage of. At least, we did. Except for the 100% up to £250 deposit bonus, we were offered wager free spins. This surely is an expensive way for a casino to attract new players, but it sure works. However, we are not certain that this offer will last for a long time, why our best recommendation is to register as soon as possible. Depending on when you read this review, it might already have changed. If so, please consider contacting us so we can make some changes in this review. Regarding the deposit bonus, it comes with a wagering requirement. So does most of the other bonuses as well, as it most often does. Due to this, we would like to suggest you read all the terms and conditions regarding a specific casino bonus before deciding whether or not to use it. The other promotions are usually changed quite often. Therefore we recommend you to check out the ones available right now. But, one of the promotional offers that won’t go away is the VIP Club. Since we straight away understood that this will be a website that we will spend a lot of time at, we signed up for it straight away. It is free, so it is quite stupid not doing so, right? This club offers a lot of nice stuff, as reload bonuses and other VIP offers. However, what made us sign up right away was due to the cash back programme. If, okay probably when, you lose – you will get money back from the casino. This is a great way for them to keep you as a player, of course. But it is also a great way for you to get back on a winning streak. All the big casino players we know about uses these kind o clubs, and so do we. Do you? 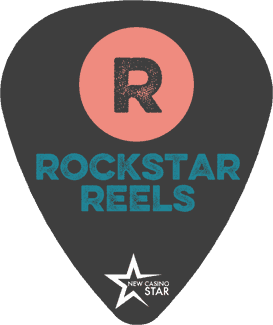 Read more about the loyalty programme at the Rockstar Reels website; https://rockstarreels.com. As you might understand by now, we think that Rockstar Reels casino is a great contribution to the online casino market in 2018. The only sad thing at the moment is that the brand is not offered in too many languages. However, they have a UK license as well as one in Malta. Word has it they will get one in Sweden at the start of 2019 as well when the Swedish market will require one. Right now, the languages supported are English, German and Swedish. But we are promised that more are about to come. Play on all the different platforms you are used to and get your free spins without wagering requirement today. We certainly enjoyed trying out this brand and writing our Rockstar Reels casino review. To get the best bonus, simply click the button on top of this page and visit the casino. After a quick sign-up, you can see why we are so thrilled about this website.